Apple's finances will enjoy an excellent time although Donald Trump imposes tariffs for the whole world; it seems the American company has made some little favors for the president when they have exemptions abroad that generate millions of dollars. As it turned out, the most prestigious and most secure mobile phone tech company will increase its tri-monthly dividends by 16% to 73 cents per stock. That figure would equal its largest increase since it restored payments to shareholders due to pressures. It has also been known that Apple will invest 100,000 million dollars to repurchase shares, with this move stocks would increase and they will "green" the apple. An expert at CFRA Research, Angelo Zino, believes that the repurchase of "accelerated" shares allows Apple to refinance. According to Zino, the company’s movement secured it if a fall in the stock market happens. It is not the first time that Apple claims for exemptions. Last year Tim Cook begged it would be less expensive to recover billions of dollars abroad, and luckily, the tax reform came as a Christmas gift. Apple’s shareholders for the first time take advantage of the benefits of the comprehensive tax reform that a few months ago signed and promoted the president approved by the Congress. Trump's political decision has fueled many American companies which saw a decrease in their taxes thanks to the action. Logically, Trump promoted this kind of reforms since he is a giant in business too, although the lifeguard has been useful for those who are not Trump’s cups of tea as Jeff Bezos, who also gained large profits. The American president’s measure implied the tax reduction to those companies that counted 1.5 billions of dollars in 10 years. According to this, the tax fell from 35% to 21%, the biggest cut in recent history. On the other hand, Berkshire Hathaway revealed on February 14 that it had increased its stake to 23 %, making it the company's largest common stock investment in the iPhone maker, which made Apple shares’ price to rise considerably. However, despite all these competitive benefits, Apple products are not having the acceptance they normally do. Despite Warren Buffet’s favoring comments, the “apple” has not produced the “juice” expected by its investors. Earnings during this last quarter have been far below expectations, and maybe because of that they announced to repurchase shares. During the past quarter, Apple’s sales closed at just over $ 52.2 million, one million below the estimates made by financial groups. The fall is due, among other factors, to the availability and wide range of products that use Android system. 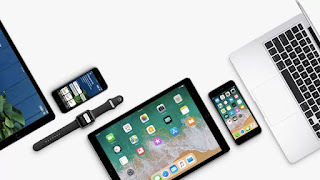 In addition, the prices of these mobile devices are more affordable to the common user, something that weighs when the customer chooses which cell phone to buy. iPhone is still a product of high standard and safe for customers, that’s why Cupertino’s strategists want to make the “apple” more tempting and have been adapting the product to the market. Recently, they announced cheaper educational tablets aiming at recovering the market they have lost. Previously, Apple has been benefited with exemptions in the form of ransom. However, it has received strong criticism and complaints from authorities of other nations, including the European Union (EU, which prohibits specific tax advantages for certain companies. During the past year, the European Commission had claimed the return of up to 13,000 million euros (about 15,280 million dollars). Let's see how much longer Tim Cook's company can keep afloat. In the meanwhile, I’ll keep on seeing what cell phone Trump, his family and the secret service of the United States use.